TNW Conference is offering complimentary tickets to some of the hottest startups in Europe. We’re searching across thirty-two European cities to find the best young companies and give them the chance to network with investors at the conference. Sign up now! At TNW, we believe that entrepreneurs and startups can offer game-changing services and products. That’s why, together with key European city partners, we’re sponsoring the cost of conference tickets to provide selected startups with the platform to tell their stories. TNW Conference is launching a European-wide call to find the best startups, together with a series of global partners. After the May 6th deadline, our editorial team will select up to ten startups from each city. The winners will be invited to TNW Conference, where they’ll have the opportunity to meet with seasoned investors and gain global exposure. Winning startups will get access to a unique matchmaking platform to schedule meetings with more than 600 investors, and more than 200 corporates. All you have to do is fill in a form, and we’ll let you know if you’ve made the cut. Make sure to do it soon — this opportunity closes on Sunday May 6th. 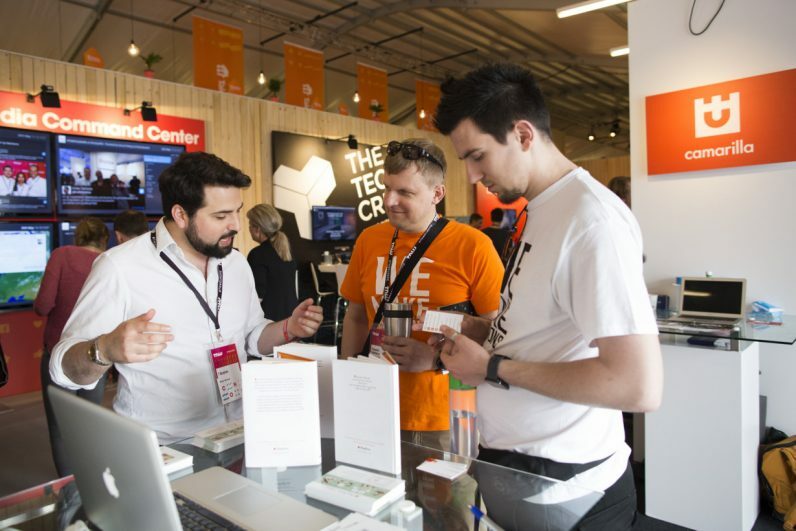 TNW Conference is one of the largest tech festivals in Europe, which means that there’s no better way to gain exposure and network. Tickets can be costly, which is why we are partnering with key players in your city to offer complimentary passes to selected startups. With these costs taken care of, you have nothing to lose and everything to gain. In addition to complimentary conference tickets and a matchmaking platform, all startups attending are eligible to sign up for the chance to pitch their concept. In The Pitch Tower, you can share your ideas to maximize exposure. We’ll be selecting the pitching startups before the conference — make sure your pitch aligns with one of our eight key verticals. You can find more details on our startups page. Which European cities can apply? You can find the full list of the thirty-two cities on the sign up page. Chances are that you’ll find a city near you — if your city isn’t on the list, feel free to email our team. We’ll help you out! Sign up right here. Do it quick — application closes on Sunday 6th May.